Fusion Bags – More than just a gig bag! Fusion Bags design, manufacture and sell high-quality instrument bags and accessories to professional and touring musicians around the world. The business was established in 2008 and they are based in West Yorkshire, England. The idea of developing high quality, innovative gig bags for travelling, touring and working musicians, was created by four friends around a dining room table in March 2008. The vision soon became reality. 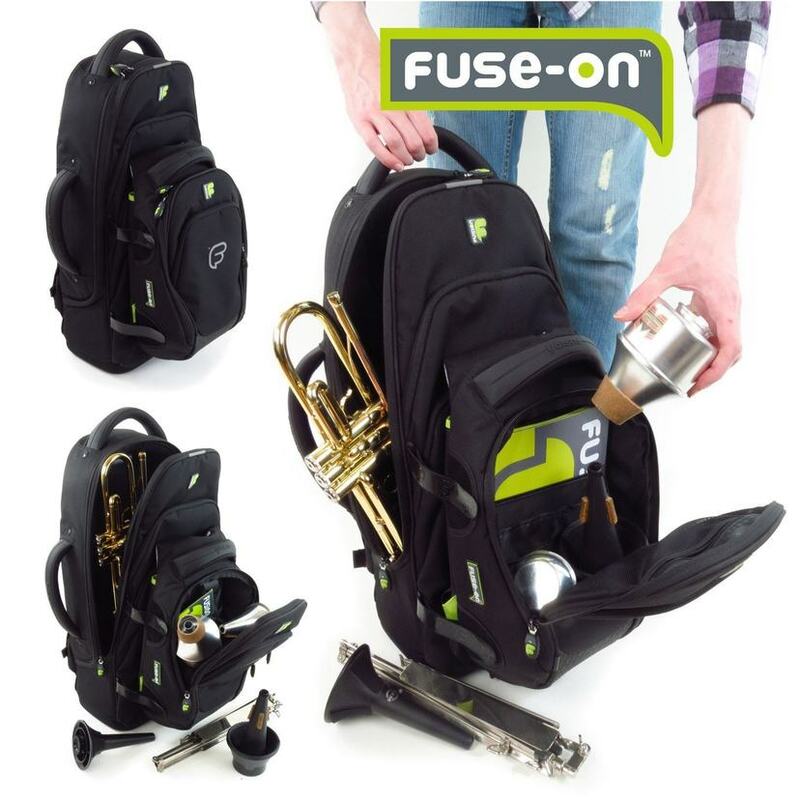 After carefully sourcing a factory and months of hard work designing and sampling the first range of bags, they launched Fusion at the Music China Show in Shanghai 2008. The show was a huge success and was followed by the popular NAMM Show in California and Musikmesse in Germany. These shows helped Fusion create a network of international distributors who started selling the designer gig bags for guitars, brass, woodwind and keyboards around the world. Right from the very start, they had the vision to create the best gig bags on the market. These were designed with the musician in mind and to exceed expectations. They found that the best way to design an amazing product is to speak to the people who they wanted to create bags for. Co-founder and designer Amanda Wheatley’s own experience as a gigging trumpet player, along with her creativity and drive for innovation and perfection, helped bring her designs to life. The collaboration with so many other musicians’ experiences of touring the world or simply commuting to work with their instrument helped them create the incredible collection of cases. This included bagpipes to saxophones, guitar and cymbal bags and the much-loved ukulele gig bags. To create gig bags that are lightweight and comfortable enough for travelling the world, whilst still offering the best level of protection and space for any serious pro, is what Fusion strive to achieve… (and of course they also need to look good). Here at John Packer Ltd, we are big fans of these bags, offering super support whilst maintaining the manageable lightweight qualities. We sell Fusion bags for saxophones, baritone horns, trombones, cornets, trumpets, French horns, Flugel horns, French horns and Euphoniums. If you want to know more, then please speak to Steve or Tom in our brass department, and they will be more than happy to help with any questions!